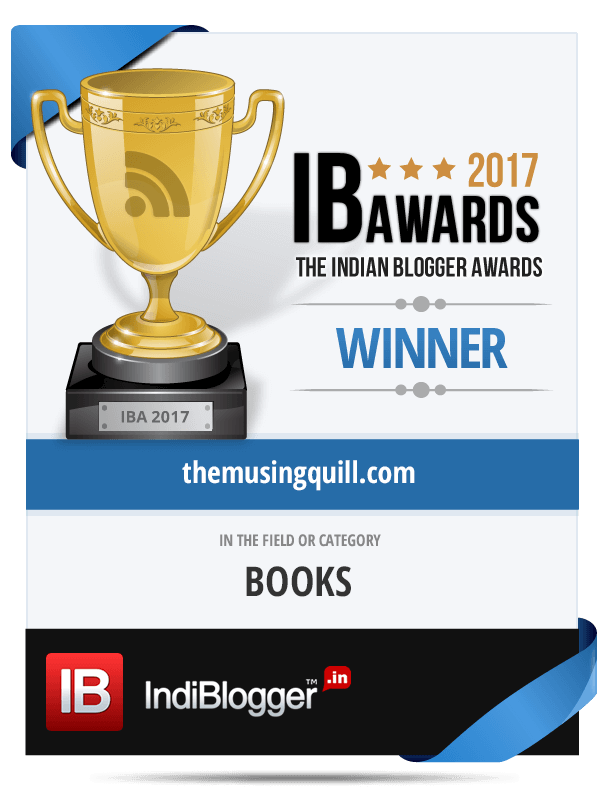 In my journey so far, I have always learnt new things and have gladly shared them with the writing fraternity through my blogs. But as a writer, where do I get my motivation? How do I look deeper into my perspectives? I realised, even I need to learn to be able to up my game. So this time over, I wanted to be on the student-side of the story; not so much as saying but listening. For my plan to work out, I approached a few proficient bloggers who’ve been in the game for an impressive period of time; whom I follow religiously. They were kind enough to share few words from their pool of experience on how to tackle writer’s block so that I could bring to you, tricks not just from one mind, but multiple minds. Writer’s block to me doesn’t exist. Your cup is empty more or less and it is up to you to fill it. For me I have gardening which I am kindred with and I find my cup fills quickly with gardening not to mention other menial tasks such as washing dishes, weeding, ironing or any other tasks we find boring. The other piece for a writer to keep in mind is to write for yourself and forget about what others say. These are your thoughts, your expressions, and who is worthy to judge. Only you. My main ways to keep myself from writer’s block are journaling, photographing, jotting down ideas on a virtual notepad, or beginning drafts in my blog; adding to them little by little until concluded. Reading (books, articles, research material, other blogs) is essential to keeping my head full of new content & ideas for later. As a full-time working professional, it is difficult to figure out some peace where one can sit down and write to perfection. I face this problem almost every time and to overcome the same I have figured out what works for me, Drafts. Yes, I write a blog draft covering the important points with a minimum of 4-5 lines for each point. Doing this, takes considerably very less time and assures me of completing it when I want to. I overcome the malaise of not getting the words out by reading poetry of the great masters, for example, I read Basho and other Japanese haiku poets. Also, Allen Ginsberg, Marie Corelli, etc. Music helps sometimes and walking rejuvenates too. Sometimes in the middle of the night, I wake up and lines are popping up in my mind. I grab my phone and put it down on notes. Last of all, my constant companions are my notebook and pen. Can’t do without them. I have an ‘Ideas book’ where I keep writing down what I feel could make a good story, or could make a good dialogue/scenario in my book. Prompts help a lot too. Music has often prompted me to write. Bottomline is, when you are in the grip of Writers Block, you have to ask yourself – can I take a day or two off from writing and then get back to it with the same fervour? If the answer is yes, take some time off writing. But if the answer is no, then get down to write and write that Writer’s Block off. My biggest idea for combating writer’s block is: Think about something you yourself may be interested in reading. Do you need inspiration, do you want to read something funny? Write that! Go back in time. Revisit your older posts, perhaps, the ones where you began. The train of thoughts that follow will beat any damn block. Nothing has helped me more; well, except, a glass of good wine. Put together here, are pearls of ideas tried and tested by ingenious minds who never gave up when a bad day gatecrashed. Take them or leave them, but never forget them. Find the ideas helpful? Tell us. Do also share your own stories on tackling writer’s blocks. I’d love to hear them out. Sorry I missed this my friend! Some great advice here, this will be bookmarked for the inevitable failure of the mind in the not to distant future, no doubt. I shall have it up in the follow-up post, J. Thanks so much. I love how you included perspectives from other writers and bloggers. (To be honest, I kind of fan-girled when I saw Yasmin from Yaskhan.) The tips I’m inclined to put into better practice is taking my notebook and pen with me wherever i go and starting drafts and adding to them little by little. She is? That’s amazing that my two favorite bloggers are friends. Here is a great article I found on tackling writers block. I know I needed this. Thanks for sharing. I shall visit your site soon. Interesting insights! I think we all encounter this. But for me finding time to write a long post is a bigger issue. Well, I agree with your point, Arv. I have always found that I do not have sufficient time when I have longer articles to write, or say when I am writing stories. It is like the motivation is right there, but lack of time, impacts the creative ooze. Exactly the point! There’s something missing either the motivation or time! I can tell you my experience – if you write on varied topics, you will (should) never have writer’s block. The more you write, the more you rack-up your brain, and it opens up to new possibilities! You made a fantastic point, Alok. I much explore this but at times, even that doesn’t help much. I then shut down the writing life and plunge into other hobbies like biking or cooking. Loved this, especially the advice about refilling your cup by doing something menial! I find when I’m stuck for ideas they always come to me when I least expect it and when I’m keeping busy rather than obsessing over it. Thanks for the post! Yes, that can happen. Maybe you ought to just wait and let things reveal themselves on their own. Hey Asha, A wonderful survey and beautifully written post! Creativity triggers intrigue me … this is a huge resource you put together. For me, what works is interacting with nature, people, and doing hand-work. Any hobby like gardening, painting, wood work/burning, and so on. I never judge my work! Thank you! Much appreciate your humble response. And yes, like my friend was suggesting, indulging in a hobby does help much. I needed this so badly, feeling good about coming across this all important and a great post. Thanks a ton. Great post, Asha. Thank you for including my opinion in this post. I hope this is helpful to those who are in the grips of Writer’s Block. Thank you for promptly responding. And yes, I hope too that it helps the fraternity. Honestly, I don’t know but sometimes we write to please others and holds true for a novel. I believe we shouldn’t be worried about others but write for ourselves. Yesterday was watching The Writers roundtable on NDTV with Anupama Chopra with writers like Himanshu Sharma, Varun Grover and Juhi Chaturvedi who said one thing write for the self. You must watch the episode and they share funny and bizarre anecdotes with producers. I agree with what someone said above, pleasure yourself and nobody else. I will try and find out the show on Youtube, if I can. Sounds like the kind of thing I might want to write about. Thanks, Vishal. How have you been? Do watch it and makes for interesting discussion. Been good and busy wid work hehe. I am busy prepping up for the upcoming wedding and the travel. I love the adrenaline rush travels bring. Reblogged this on The Pradita Chronicles. Great Post! I am sorry for not replying to your email as I had been travelling these last few days due to work. Journaling helps me overcome writer’s block. Don’t stop writing but write whatever comes to your mind- your thoughts, product/book reviews, some memory etc. Soon you will get back to track. Happy to hear your thoughts and never mind about the submission. It was indeed on a very short notice, that I intimated you. So no worries, friend. To keep writing even if it doesn’t make much sense then, is the key. If I reach an impasse with the story I am working on, I tend to start something else then return to it later with fresh eyes, that usually resolves the problem. Thank you for an interesting article. Thanks, Marsh. Your POV will surely aid many. Thank you. Welcome to TMQ!